Explore our four Kudhva; each architectural hideout is totally off-grid and has been designed to offer temporary shelter in a way which leaves you feeling calm and cared for, just by the structure itself. 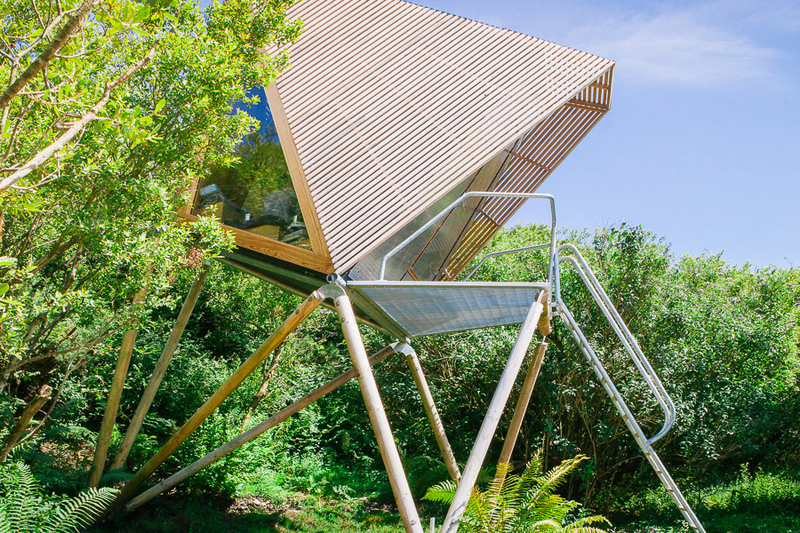 These unique architectural cabins have been specifically designed for the quarry rich environment they inhabit. 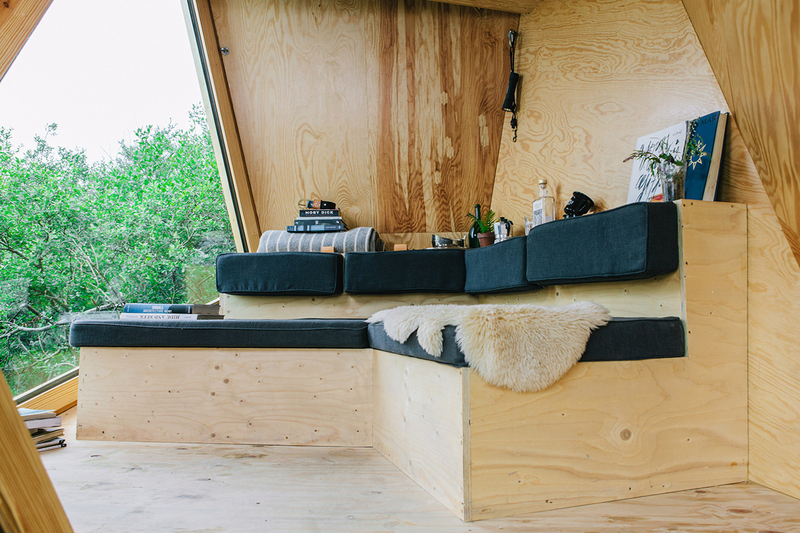 Off-grid hideouts, raised high above the ground, standing on wooden legs with a suspended bed and captivating views down the coast. Check out our Tree Tents, we have six across the site; hanging gently between rocks or nestled in a glade. 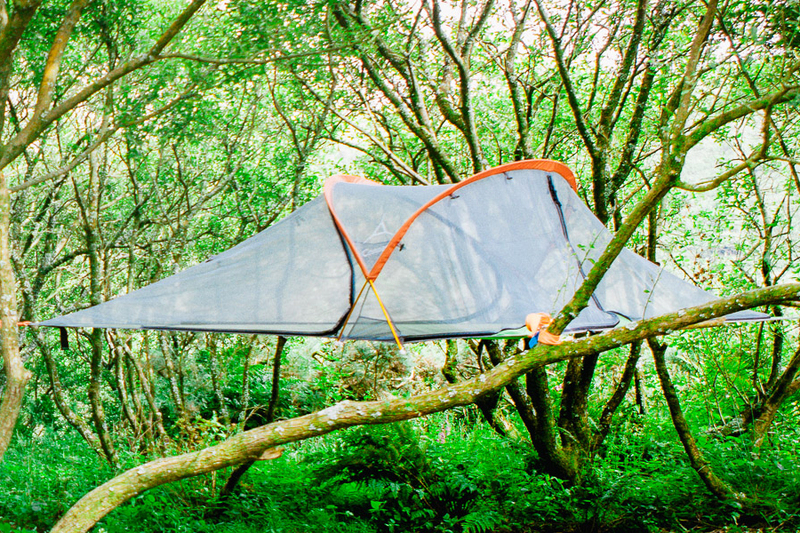 The Tree Tents provide you with just the necessary shelter to still feel as though you’re sleeping in the wild. The Kudhva and Tree Tents allow you to escape the elements, while being immersed in the natural environment. By going off-grid and sheltering inside the kingdom of Kudhva your priorities begin to switch away from our busy digital lives and back to basics. Standing above the ground, amidst the tree tops, or hanging between the branches, you feel as though you’re being gently cradled by the natural world.